Big rod-caught plaice can weigh 2.25 Kg (5 lbs) or more. The average plaice weighs around 1 Kg (2¼ lbs). The plaice is a right eyed flatfish, meaning that when viewed from straight on, its eyes are both located on the right hand side of its body. It has a diamond shaped body which is brown on the back, dotted with bright orange spots and a white underbelly. It has small scales which produce a very smooth texture. 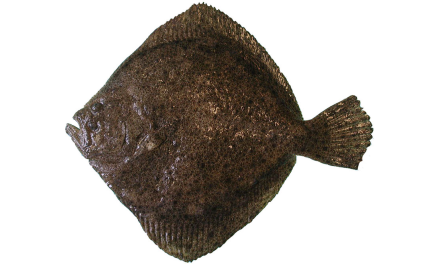 The plaice closely resembles the flounder and so is often incorrectly identified as such, however there are differences; compared to the flounder the plaice has a smaller head and tail and a slimmer body. In addition the plaice also has a characteristic ridge comprised of bony bumps which runs along the back of its head. Ragworm, lugworm, shellfish such as mussels and cockles, shrimps and hermit crabs are all ideal for plaice fishing. Plaice is best caught during April, May, June, July, August, September and October. Plaice stay relatively close to the shore until January, when they move into deeper offshore waters to spawn and then return close to the shore around April and May. The plaice favours the bottom of sand, shell-grit/gravel or mud seabeds to feed, under about 6 fathoms (10.97 m) of water. The plaice is one of the most common fish in British waters, and can be found in all British waters. If fishing from the shore for plaice a basic leger rig or a two hook running leger rig is ideal. If you are boat fishing for plaice, it is recommended that you use either a boat leger rig or a two hook running leger rig. Plaice hunt for food around the clock, no matter the weather or water conditions. Areas of seabed sand bordered by rocky, rough ground draw plaice shoals.